The World Green Building Council (WorldGBC), which organises World Green Building Week (24-30 September 2018), has has called on the built environment sector to set ambitious targets that eliminate carbon emissions of building portfolios by 2030, in order to meet the climate targets of the Paris Agreement. With the UK’s building stock accounting for around 30% of the country’s annual greenhouse gas emissions, now is the time to make ‘net-zero’ the new normal. Using real-experience case studies, this interactive webinar will explore how energy and sustainability managers can retrofit facilities to reduce energy use and champion green power. The hour-long session will provide you with expert tips and proven techniques to help you overcome some of the biggest barriers and most common pitfalls in transforming your building portfolio. 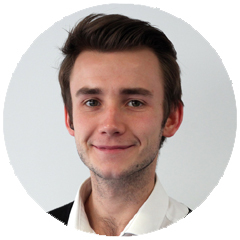 Tom joined Landsec in 2013 and has held numerous roles within energy and sustainability. In 2015, he was given the opportunity of developing the company’s new energy and carbon targets and managed the process of setting the industry’s first ever “science-based” carbon target. Since this project, Tom has redirected his efforts into identifying and implementing energy and carbon reduction initiatives in the company’s Retail portfolio and is also working on wider sustainability projects including low carbon transport and climate change resilience. Richard is Senior Policy Advisor at UKGBC. Since joining UKGBC in 2010, he has become a leading expert in green building policy, regularly speaking at conferences and commenting in the media. He works closely with national and local governments on developing green building policy and has participated in working groups on the Energy Company Obligation and minimum standards for rented properties. He has also led industry task groups on ‘Green Deal Finance’ and ‘Regeneration and Retrofit’ and worked on the Innovate UK-funded LENDERS green mortgages project. Richard’s current focus is on developing a UKGBC programme of work to help drive the transition to a net zero carbon built environment. Vincent joined EDF Energy to head the Business Development Team, having also managed the business sales team, responsible for EDF Energy supply activity for our business customers. He is now Director of Energy Solutions, thus responsible for the development and sales of all Energy Solutions for our business customers, including energy monitoring and energy efficiency, Demand Side Response, Storage, Electric Vehicles and storage. Vincent joined us from EDF Fenice Rus, the Russian subsidiary of Dalkia, where he was Chief Executive Officer. Operating as an Energy Service Company (ESCO) in Russia since the end of 2009, Fenice Rus helps its industrial clients to improve the energy efficiency and environmental impact of their factories through energy service and performance contracts. Lindsay has helped outline and implement IHG’s sustainability strategy across the firm’s 5,000 hotels globally. She was instrumental in the launch of IHG Green Engage, which has acted as an online sustainability platform that has enabled all IHG hotels to implement, track and report on sustainability initiatives. Prior to her role at IHG, Lindsay worked in numerous management positions across the hospitality industry. She has earned a Bachelor of Arts at New York University, and a Masters of Business Administration at the Goizueta Business School at Emory University. N.B. The information contained in this entry is provided by EDF Energy, and does not necessarily reflect the views and opinions of the publisher.